We are about to roll out significant changes to Jobs, one of our oldest features. 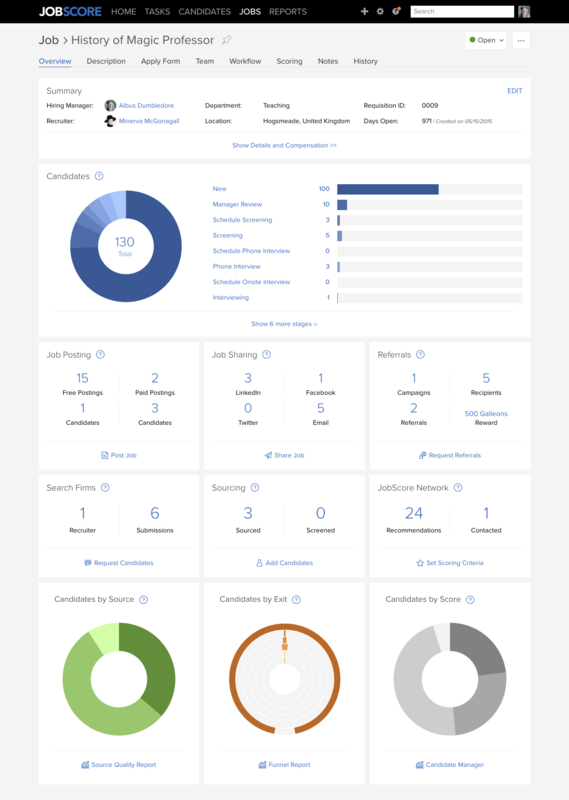 Transformed the view job page into a dashboard that shows what’s happening at a glance. Moved the job description, apply form, and team (hiring team & search firms) to their own tabs. Added mini reports that show the performance of job postings, referral campaigns, search firms and more. Consolidated the add job and edit job pages to show everything on one screen. Added new tooltips to make features easier to understand and use. These changes will be rolled out for everyone soon. Please email support@jobscore.com if you want early beta access.